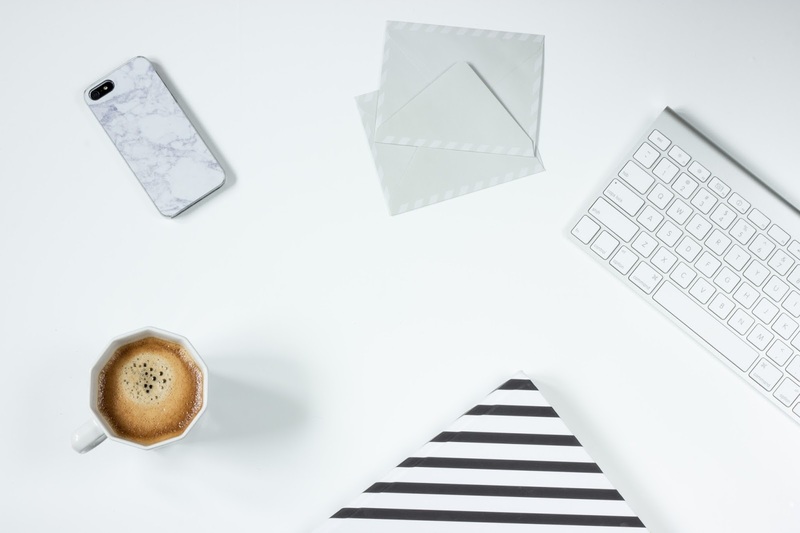 I have developed a routine that I go by every single time I blog. It didn't change, it is what it is since the beginning and I still stick to it at this point. 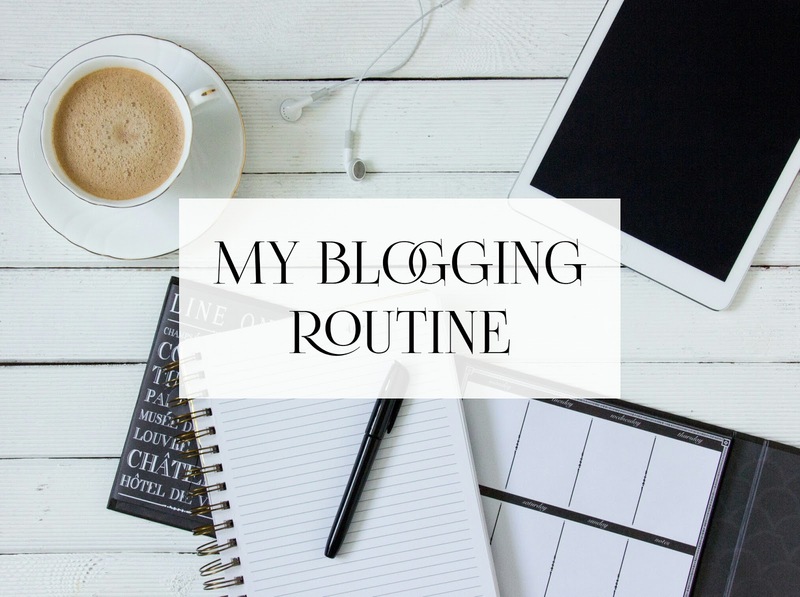 So, in today's post I thought I'd share my blogging routine with you guys. It's really simple, nothing fancy or complicated, but hopefully it may comes in handy to someone out there? Perhaps. Here it goes. Yes, it all starts with a plan. I always have to plan things before I do them. I would say I'm pretty organized and I like it better when everything is planned. So, before hitting letters on the keyboard and having my thoughts and words written to the blog, I first sit down with my blogging notebook and jot down the things I'm going to write about. Yes, I jot down things and I know it's very old-fashioned but it works for me because I tend to forget major things I want to mention in a post. After I jot down all the details and points, I will then start to write the post. I like to do the writing first and the photography comes next because I just work that way since the beginning. Writing a post can take forever for me because I will read and re-read the post to make sure no spelling errors or basically just any errors before I hit the 'Publish' button. I want to be 100% happy with the content and the quality is approved by me. After I'm satisfied with the result, I will save it as a draft then I can work on the photography (if the post requires my own photo). Just a little FYI, a big cup of tea is very much needed during this session because it's always take the longest. You feel me? I take all of my blog photos using my phone, as you guys probably should have known by now and I edit them using these amazing apps that I downloaded in my phone. Honestly, I kind of having a love/ hate relationship with taking photos just because it's exciting, fun and all but it's tiring! Hands down. You have to have the angles right, no shaky hands and don't get me started with the weather. Anyway, after I'm happy with the photos, I will have it uploaded to join with that particular post and edit the Alt tags and whatnot. I usually post around 8-10 in the morning, I'm not so sure why but I do. After that have been published for couple of hours, I then promote it. What I usually do is I share my new post on Twitter. Sometimes I do tweet about the post more than once (but I keep forgetting it) and I will not forget to include hashtags along with it because don't underestimate the power of hashtags. Haha! I also put a small description saying 'My Latest Blog Post' and link to the post on my Twitter bio, so whenever people visits my Twitter, they will know I have a new blog post. It's not going to work 100% but it sure does drive a crazy traffic to my blog. Yes, I gain lots of traffic and engagement from Twitter. I should really be more loyal to that writing down the my planning for the post because I notice I can save lots of time and get the post written in organized fashion. I actually bought a blogging notebook too! But I always just go on and write secara tiba-tiba. I think I'm gonna try that latest post link in bio at my Twitter too. I don't really have much follower but no hurt in trying. Btw, I hated that when I put the link on twitter, they didn't do any preview. does yours show any preview? I use twitshot to make a preview lol. Haha I don't know, I just love jotting down things/ lists. It suits me more because I can't just go on Blogger and type what I want. I don't work that way, my mind can't really function haha. It's just me. It didn't do any preview as well! But sometimes it does haha. I noticed the second time I tweet the same link, the preview will show up. nadia tak tahu either I have a blogging routine ke tak . Selalu if idea kuar je tiba2 baru type dlm draft then biar kan dlu sbb idea dah habis tue kdg2 ada je entri tg pending lama dlm draft . Hahahha . Ambil gambar is always tiring, but ya no doubt it's fun! i love your picture dear.. what app do you use? can share? Haha that's okay, you are not required to have a blogging routine 😅 This is just how I am. I feel more organized this way. I wouldn't call it a routine but when I need good ideas for a new blog post, I would occasionally go blogwalking and scroll down Pinterest. Just to get inspired! I dont have any blog routine coz i enter the letter first. Lol ! I hope it really helps :) Aww, it sure does. Work sometimes can be overwhelming too. I don't have any blog routine.. It's normally just write and publish.. ._. *jelly* haha! That's probably everyone's blogging routine though lol. 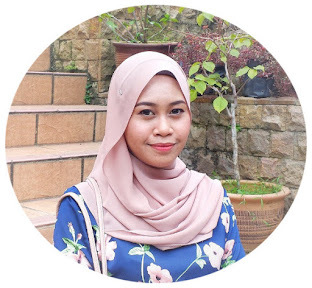 My blog routine - part jot down tu, samalah kita 😊 siqah biasa akan tulis dulu mana2 point atau topik yang nak ditulis di blog, tapi lepas tu, nak siapkan satu entri biasanya akan mengambil masa yang agak lama. Jot down rajin, bab nak siapkan entri agak malas sikit. Hehe. Yay ada geng lagi hehe. Betullah tu Siqah, kadang part tulis tu rajin tapi nak type tu malas. Yup, it was fun. Totally boleh improve from there, kan? One day mesti boleh pro punya lah hehe.